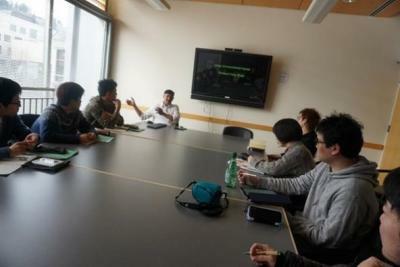 From March 5th (Mon) to 9th (Fri), 2018, Students Visit in Portland State University (PSU) was held in PSU, Oregon in the United States. This program was planned by the Graduate School of Urban Innovation, YNU. 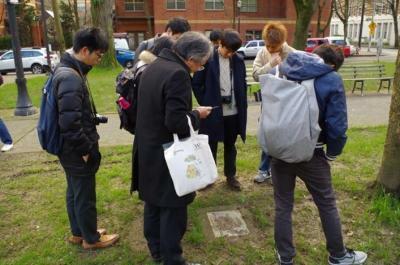 Led by Executive Director and Vice President Fumihiko Nakamura, Dean Satoru Sadohara and Prof. Minoru Takamizawa from the Faculty of Urban Innovation, 10 students in total from the Graduate School of Urban Innovation and the College of Engineering Science participated in this program. The program focused on the special lectures conducted by PSU faculties and exchange with students and faculties of PSU, which set up PSU-YNU international branch on its campus. It also included the study about advanced efforts in urban innovation in Portland through the study tours and interviews. 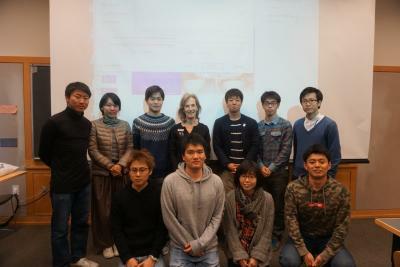 On the first day, orientation and campus tour were held by Ms. Naoko Horikawa, the branch coordinator of its international branch. 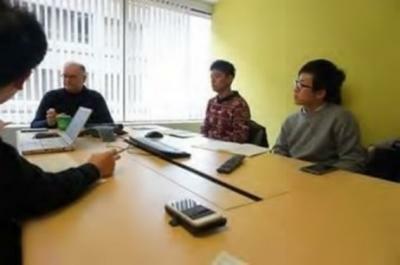 After that, the parties held an interviews with TriMet which is a public agency that operates public transportation in the Portland metropolitan area and made field trips to the downtown and suburban areas such as Hillsboro and Orenco. It was a very meaningful visit for them as they could feel the atmosphere of the town. On the second day, a study tour to the Orange Line and the East Side was took place. 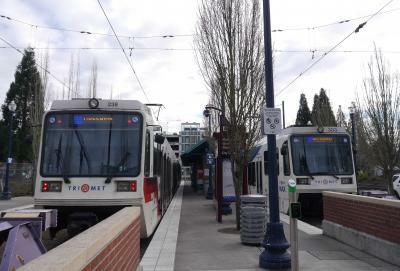 The Orange Line connects Milwaukie which is about 11 km away from urban areas of Portland and various projects were conducted. city government try to harmonize the development of a city and the green. On the third day, students attended lectures in PSU such as the lecture offered to undergraduates, and special lectures titled “Urban Environment” by Prof. Vivek Shandas and “Urban Design” by Prof. Ellen Shoshkes. On the fourth day, after a field trip, the parties visited the office of Metro which is a Metropolitan Planning Organization for the Portland region and there Metro Councilor Bob Stacey gave them a lecture about city planning and transportation plan of Metro. In the afternoon, special lectures by Associate Prof. Aaron Golub “Transportation” and “Civic Engagement” were conducted in PSU. After that, they participated in the Film & Discussion Event hosted by Students in Transportation Engineering and Planning (STEP), PSU. It was really a wonderful experience for them to know that not only the students from Intelligent Transport Systems (ITS) laboratory but the students from other laboratories and even undergraduates gathered and exchanged opinions watching the film. 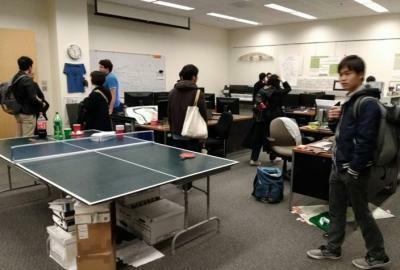 Then, they visited the ITS laboratory and talked with students about the research and daily life of each other. 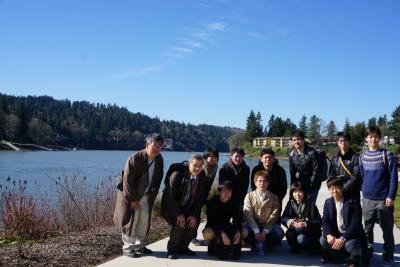 On the last day, a field trip was held by Prof. Takamizawa. 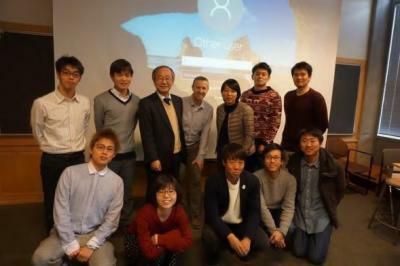 In the afternoon, the parties moved to PSU and Prof. Takamizawa introduced YNU to PSU students and faculties. 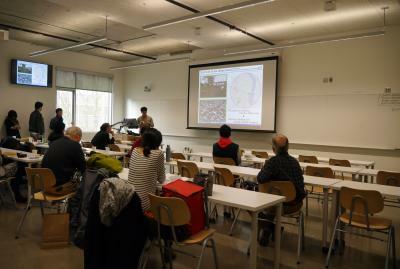 Then, each YNU student made a presentation about what was most impressive in Portland. After finishing the presentation, Prof. Clive Knights, Director of the School of Architecture in PSU introduced them about the School of Architecture and showed them around its School. 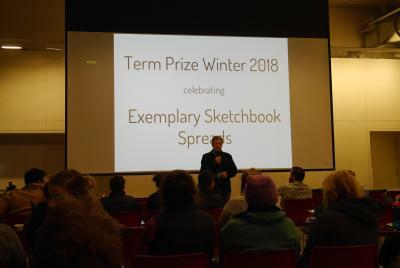 Then, the parties participated in the prize ceremony “Exemplary Sketchbook Spreads”. It was for undergraduates and Master’s students belonging to the School of Architecture and awarded to the excellent students on their thinking methods and their processes until completing the works selected by the vote from students and faculties. 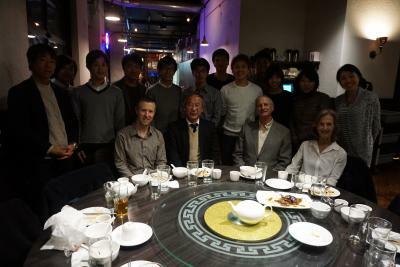 After the ceremony, they had a Farewell dinner together at the restaurant Duck House invited by PSU. From PSU, Prof. Ellen Shoshkes, Associate Prof. Aaron Golub, and branch coordinator Horikawa attended and exchanged opinions in their research fields. It was a very meaningful time for the attendees. This program was the first trial event that PSU-YNU International Branch hosted, and on the basis of favorable voices and wishes from students to continue the program in the next year, PSU-YNU International Branch with the coordination of Ms. Naoko Horikawa, the branch coordinator, plans to hold it again in March 2019. Through this special program, the further development of exchanges in educational and research activities with PSU is expected.